Anvisoft Cloud System Booster Pro for Free Download with 1 Year License Code – No matter how properly you use a computer, registry entries are created, temporary internet files pile up, disks fragment and the results are inevitable: The more you use a PC, the slower it gets. If you need something that can take care of your PCs and bring back the performance you used to get when it was freshly installed, Cloud System Booster Pro from Anvisoft is worth a try. 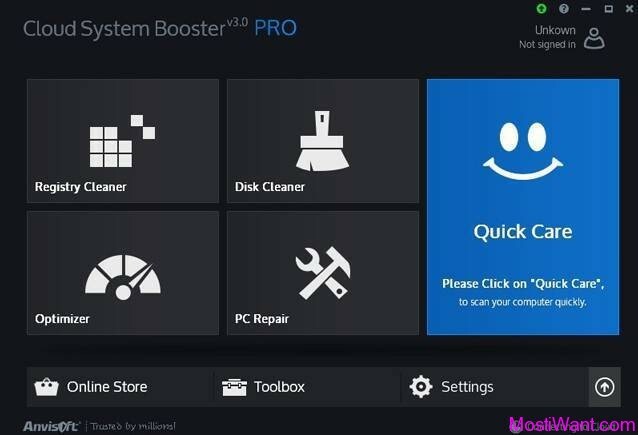 Cloud System Booster Pro is a lightweight application that allows you to clean and optimize your system with user-based cloud technology. It combines four functions that include Registry Cleaner, Disk Cleaner, Optimizer and PC Repair to tweak the peak PC performance by throwing out junk files, disabling unneeded services, cleaning up 3rd party applications generated junks, and repairing registry errors. 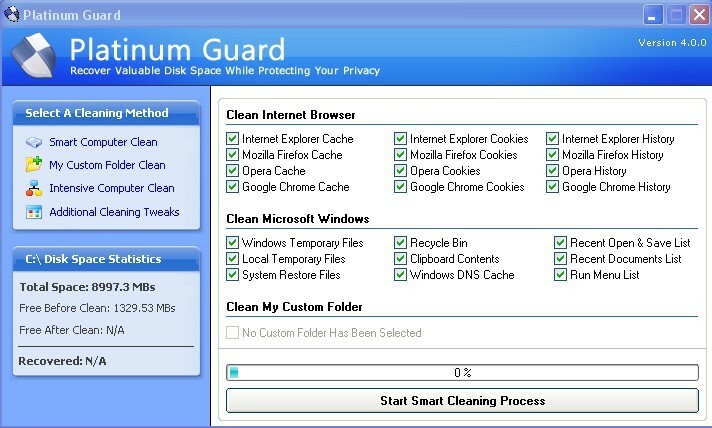 Cloud System Booster also protects your privacy by cleaning your browsing history, temporary internet files and browser cookies and extensions and minimizes the chance of falling into Internet scams. Besides its optimizing efficacy, it embraces a good-looking feature named Chameleon which enables you to custom background with simple Drop. It’s nothing related to system optimization or cleaning function, but it’s really shine your eyes. You can select and make your favorite pictures to be the background of Cloud System Booster to add some personalized taste. One-click Boost – Only click on the Quick Care button to speed up slow PC. Cloud Database Update – Update the latest optimization data from Anvisoft Cloud Server. Chameleon – Change the skin of Cloud System Booster as you like. 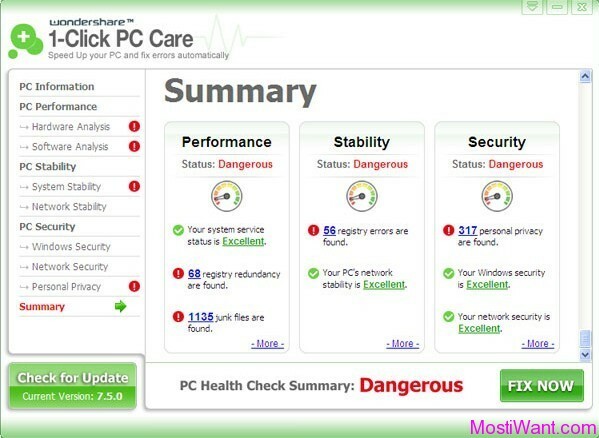 Automatically PC Care and Boost – Cleans up and speeds up computers ultimately & automatically. Source: Glarysoft Giveaway. Thanks to “TI-MI-KI-B9 ” ! 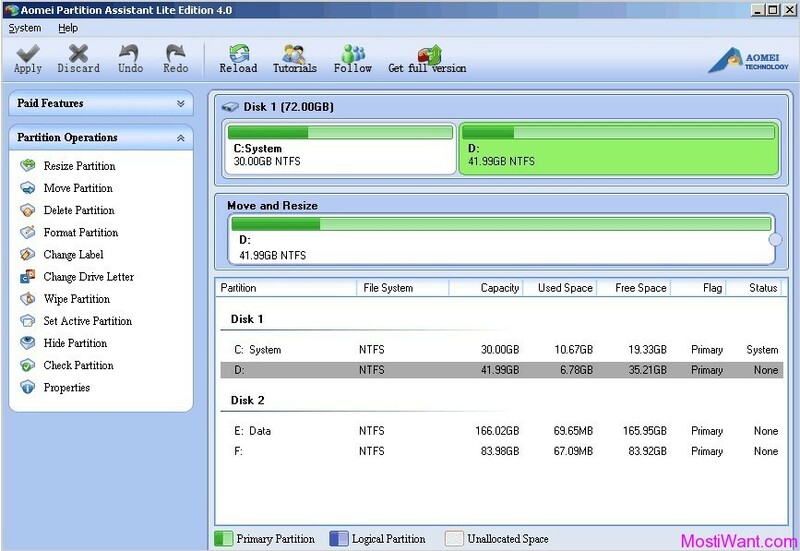 Anvisoft Cloud System Booster Pro is normally priced at $19.98 per serial key / license code. Sharewareonsale (SOS) are having a giveaway of Anvisoft Cloud System Booster Pro, where everyone can download a full version copy for free. The giveaway will be valid for today only (24 hours on November 28, 2013). Act fast to grab your free copy. More info & grab your free copy at the promo page here. Warning: Even reputable system clean and optimize tools can be dangerous and cause problems especially if you don’t know much about how Windows and the registry works. I strongly recommend that you create a System Restore Point before trying out it, since such kind of software will deal with the file system, the system registry and the running processes/services, and might harm your computer. Wise Care 365 Free is the freeware edition of Wise Care 365 Pro. Comparison with paid version, the free version does not include the additional “Privacy Eraser” features, Avatars as well as free technical support. It is surprising to me that the previous reviewers do not realize this is a clone of IoBit Advanced SystemCare. Maybe the truth about Iobit will finally come out. Pls Give Me The Key …. I like the concept of cloud maintenence software, and this is one works perfectly on netbooks. Otherwise, is like it’s being said. U can find better free sortware then this.Highly not recommended.